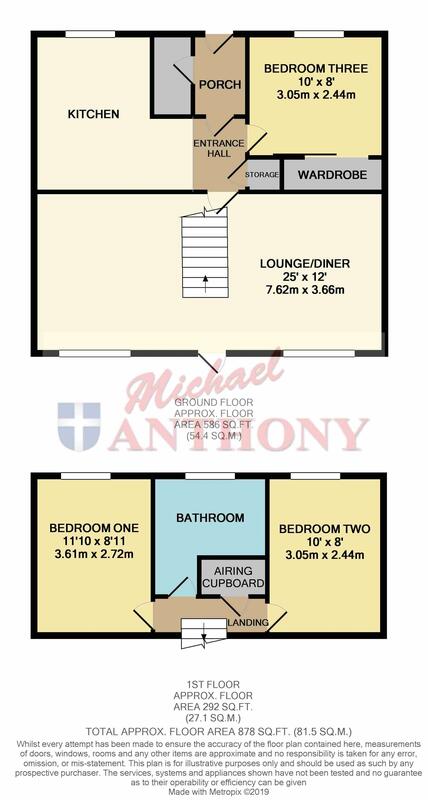 Michael Anthony are pleased to present this three bedroom terraced home. The property offers a guest cloakroom, kitchen, ground floor bedroom which can also be used as a family room, lounge/diner with door opening out to the rear garden. To the first floor the property offers two further double bedrooms and a bathroom. The property is completed by an enclosed rear garden and off road parking.